Personal Capital, Mint, and YNAB provide excellent budgeting tools to monitor your expenses. 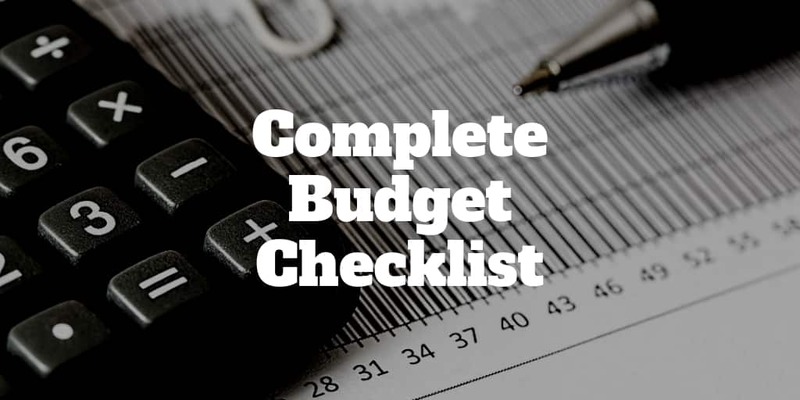 But if you want to track monthly costs by yourself, you will need your own budget checklist. Some expenses are predictable even if infrequent. For example, birthday presents are a predictable cost but because they come around only once per year so they are often missed on a monthly budget worksheet PDF. Other items on a monthly budget template may be “nice-to-haves” as opposed to necessities. When you build your monthly budget list, it is a good idea to separate Necessities and Nice-to-haves. Necessities are expenses you know will repeat predictably from one month to the next. Groceries and utility bills fall into this category. Nice-to-haves aren’t necessarily luxuries – life would still go on without them. For example, WiFi and cell phones fall into this category as do subscriptions to Netflix, entertainment events, restaurant visits, and vacations. Once you have saved up enough money in your rainy day account to pay for 3-6 months of daily expenses plus the costs of a medical emergency, add money to savings accounts and investments account to build wealth for your retirement. It might seem like a daunting task to sum up the numbers by hand so a budgeting tool like the ones Personal Capital or Tiller Money provide could save you a lot of time. If you discover that you are off track, keep tabs on your spending habits. Squirreling away a little extra could get you back on the straight and narrow in no time. Or you might find that using Acorns or Stash can help you save a bit more by pocketing loose change each time you transact at a grocery store, gas station, or anywhere else. A good rule of thumb is to limit spending on necessities to $0.50 on each post-tax dollar you earn and spread the rest evenly between nice-to-haves and rainy day funds. You will quickly build a nest-egg by saving at least 25% of your after-tax income. And worst case if you fall short, you’ll still be in good shape if you pocket 20%.